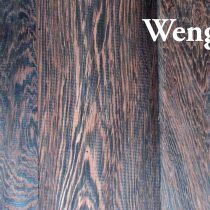 Wenge, a heavy, hard and dense wood, is grown in the Congo. The wood is dark brown with close near black veins and white lines. It is used for carving, turning, violin bows and flooring.